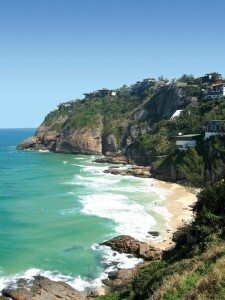 Joatinga is one of Rio’s most charming yet hidden, beaches. It is only visited by locals during weekends, or weekdays in January, when surfers are on school vacation. A suco de mamão (papaya juice) with a kibe (Arabic beef snack)or misto quente (toasted ham & cheese sandwich) at your closest juice bar. Hop into a cab and ask for Joatinga. Although the cab fare may be expensive (Ipanema to Joatinga=R$29), it will make sense once you check out the view from up above. Walk down the precarious path to the beach. There are one or two beach tents to offer you chairs and drinks. They charge more than others because of the remote location. Shadows are cast early, due to the stone walls around Joatinga, so once that happens (usually around 3pm), get back up and call a taxi from the nearest phone booth, or ask a Brazilian with a cellular phone to dial 2434-0553 and call a cab for you. 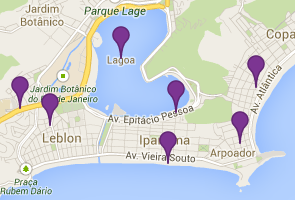 Take the cab to Praia do Pepe in Barra. Once there, sit on the sand and for the next few hours check out the hard-bodied people around you. 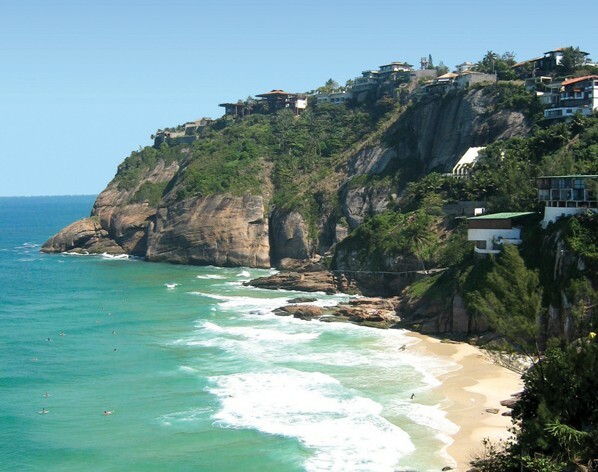 Get to Wild Beaches in the west part of Rio hiking through the rainforest with amazing views.Jungle Me offers a hike to deserted beaches, and saves you money on taxis.